Capt. 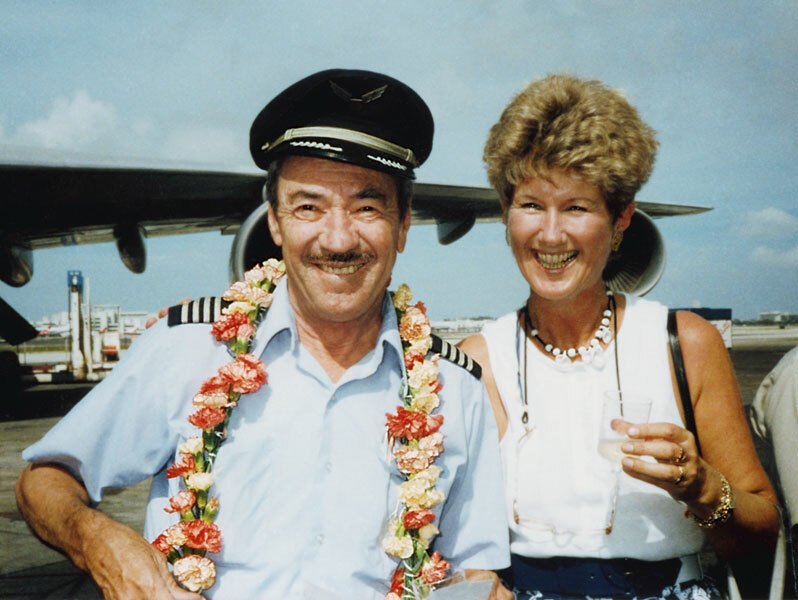 Jim Mathis is seen here with his wife, Christl, in 1987 at Miami International Airport. He had just arrived from South America on his last flight with Flying Tigers before retirement. Capt. Jim Mathis is survived by his wife, Christl; and his daughter, Colleen Mathis-Browning.